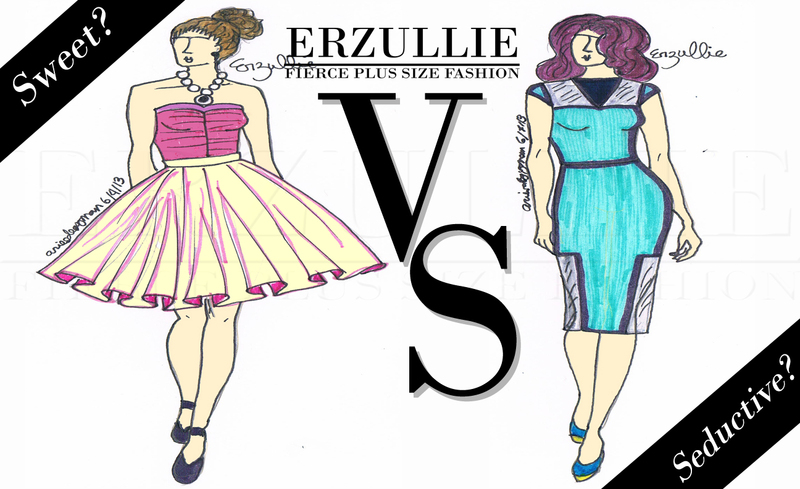 Erzullie Fierce Plus Size Fashion Philippines: PLUS SIZE FASHION: ARE YOU SWEET OR SEDUCTIVE? PLUS SIZE FASHION: ARE YOU SWEET OR SEDUCTIVE? This is my first attempt to a plus size sketch okay? Bear with me. Anyway, I would like to know if our Erzulliestas would be okay for us to produce any of these dresses? Which one do you think you will most likely to buy from us based on your current lifestyle? Any feedback related to the topic is welcome. Lol. Comment here.